Built to last with heavy-duty parts, galvanized steel panels engineered to take a beating, and ultra-sturdy knobs. The powerful 1/2 horsepower motor and sturdy drive system deliver the strength to handle large loads with ease. Dual-action agitator creates fast rollover for robust cleaning and the PowerWash® cycle with deep water drenches loads in more water. * When used only in a single-family home for non-commercial purposes. 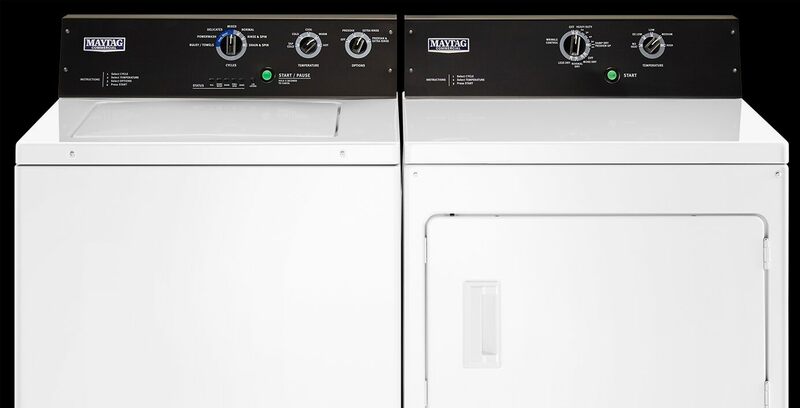 ** Visit maytag.ca for Limited Warranty details.